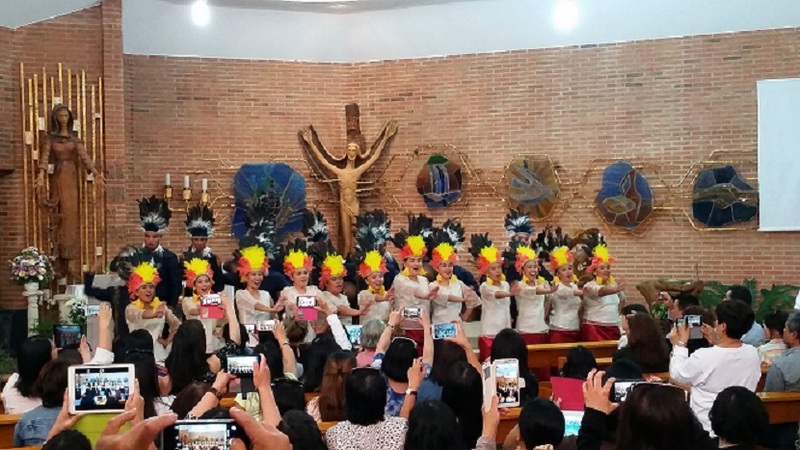 The Coro Regina Coeli, a choir based in Cavite, was warmly received by both Filipino and Spanish audience at a free concert which was held yesterday at the Parroquia Nuestra Señora del Espino, home of the Tahanan Filipino Chaplaincy in Madrid. The choir rendered both Filipino and English songs, among which were Minsan Lang Kita Iibigin, I Need Somebody to Love and Piliin Mo ang Pilipinas. The choir gave a similar concert in Barcelona earlier in the month. In addition to these concerts, the choir also conducted free workshops for Filipino choirs in both Barcelona and Madrid. 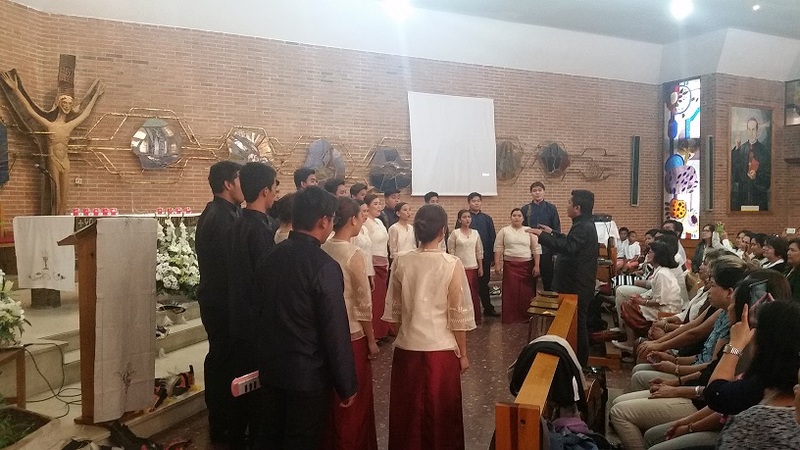 The showcase of the choir’s singing prowess in Spain was made possible through the coordination of the Centro Filipino for Returning Migrants and various Filipino associations. Prior to visiting Spain, the Coro Regina Coeli competed and won at the 30th Franz Schubert International Choir Competition from 04 to 07 May 2016 in Vienna, Austria. The choir is composed of 26 members, from ages 15 to 31, from the town of Rosario, Cavite.